Sleeper sofas can be the most convenient and cost-effective way to transform a small space into an adequate guest room. Despite their awesome space-saving abilities, sofa beds aren’t known for being the most comfortable options for guests. Sleeper sofa mattresses (full size or otherwise) that come with the sofa are usually pretty thin and don’t always make for a good night’s sleep. However, there are plenty of options available for making this economical choice in furniture much more inviting. If you are looking to replace your full size sleeper sofa mattress, you have to be sure that you are purchasing the perfect sized replacement. You might have not known this, but the width of full size sleeper sofa mattresses can be anything from 39” to 54”, thus it’s important to measure the exact size you need. Mattresses that are too small will slide around on the frame, which can be very uncomfortable for the sleeper. Alternatively, hide a bed mattresses that are too large will be difficult to fold and may cause damage to the folding mechanism. When you are trying to size your sofa bed replacement mattress, measure the inside of frame itself. Always round down to the next inch instead of rounding up. Don’t make the mistake of rounding up, as the mattress that you end up with won’t fit. Don’t count on measurements from old sofa mattresses, as these can be warped by years of use and storage. Consider the height of the mattress as well. Standard folding sofas will accommodate a 4 inch mattress, but some will accommodate a thicker mattress (5”). There are several other things to consider when you decide to purchase a full size sofa bed mattress. Every aspect of the mattress, from the construction material to the thickness, will have an impact on the durability, comfort, and price. There are many options available in each of these categories. Full size sleeper sofa mattresses can be constructed from innersprings, memory foam, latex, or foam. While everyone has their own preferences, innerspring and memory foam mattresses tend to be the least comfortable. Limitations on the thickness of sofa bed mattresses make these construction choices too thin to bear the weight of an average person without caving in. Latex construction offers a pretty comfortable mattress, but it is expensive and those with a latex allergy won’t appreciate this choice. High density foam sofa bed mattresses are at the intersection of comfort and affordability. Foam mattresses fold easily and can support the weight of the average person. 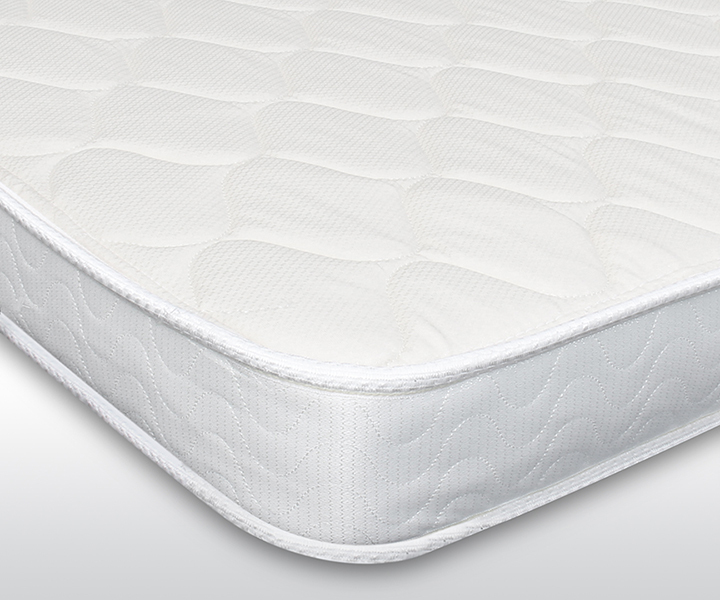 For heavier sleepers, increase the density of the foam. Where to Buy a Full Size Sofa Bed Mattress? Full size sleeper sofa mattresses can be bought pretty easily in most furniture stores and online throughout the United States. That being said, online stores typically offer better prices and more options for customization than brick and mortar retailers. For example, although we at ReplacementMattress.com commonly stock mattresses that measure 4 inches deep by 52 inches wide and 72 inches long (4x52x72) and 4 inches deep by 54 inches wide and 72 inches long (4x54x72), custom sofa mattress options are also available at factory prices. No matter where you choose to purchase your replacement mattress, make sure that you keep an eye out for shipping charges, warranty coverage, and all the little details that make up the “fine print”. This is an investment, so be sure that you are confident in your purchase! Want to know more about full size replacement sofa bed mattresses? Read our comprehensive Sofa Bed Mattress Buying Guide! Not sure of size yet, but would lime estimated cost. Hi Coni, to get an estimated cost, go to https://www.replacement-mattress.com/products-page/sofa-bed-mattresses/ choose one of the two sofa bed mattress models and input the approximate size of the replacement mattress you will be needing in the left column. If you have any questions, we are at your disposal at (888) 889-2812.